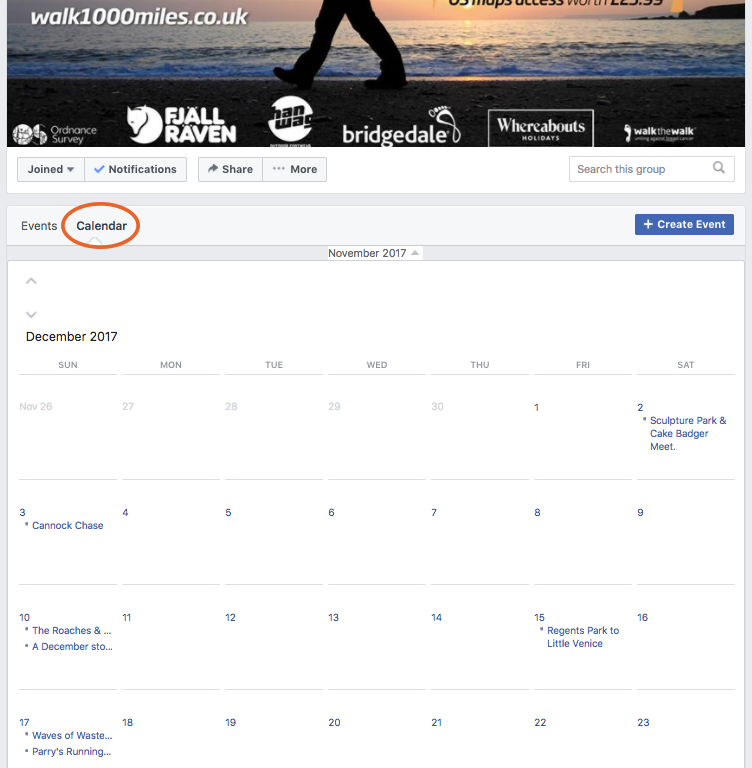 Use the 'Events' tab in the #walk1000miles Facebook group (pictured below) or one of the subgroups to browse walks arranged by other group members or start your own (the terms 'walks' and 'events' are interchangeable in this context). They can be big or small – you and a crowd or you and a new potential chum – and you make your own arrangements in a discussion attached to the event you're planning to join or that you're creating. It's easy, and people who do meet up with other 1000-milers often say it's a highlight of their whole experience of the challenge. Click on the Events tab on the left of your screen. PS – If you want to have a bigger gathering it's a good idea to also post separately in the group drawing people's attention your event. 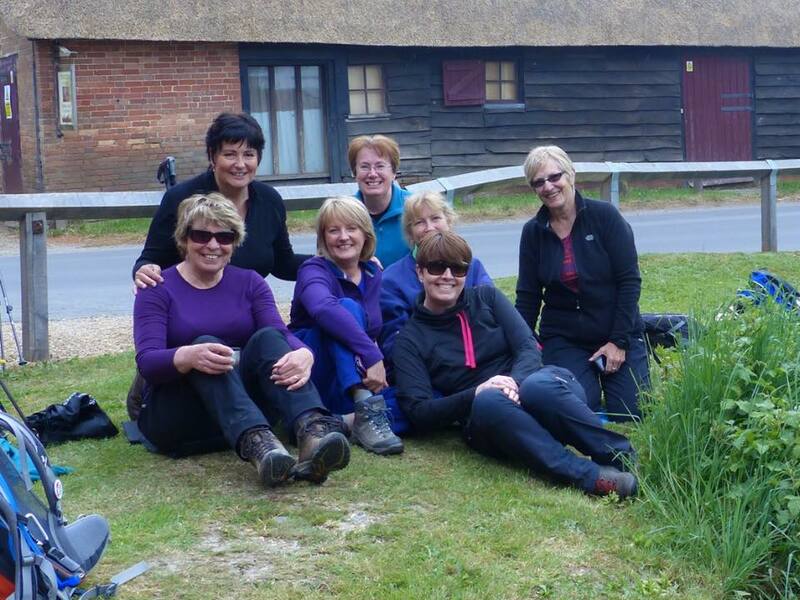 PPS – Commercial or pay-to-join walks are not allowed in the Facebook group – if you see one, please click on the three dots in the top right of the event's page and select 'Report event'. Join the best Facebook group on the planet!